enCore is a USB interface for 8 standard switches. Keyboard: simulate a key press or a combination of keys. Joystick: simulate a joystick movement, or press of any of its buttons. enCore can become anything you want: a switch-controlled mouse, a keyboard, an adapted joystick... or a combination of all that. For anyone who wants to use a computer, but cannot use the usual peripherals at all or comfortably. enCore brings together many different switch-adapted devices in a single product. The adaptation can be as simple or as complex as desired, it is a simple matter of choosing the number of switches that will be used, and which action will be asigned to each one of them. 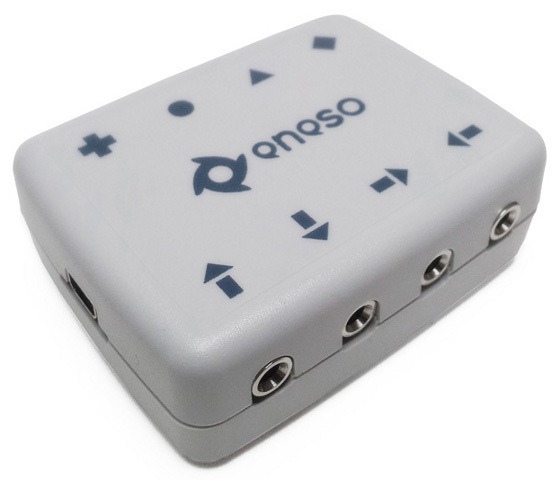 Just plug as many switches as you want (1 to 8) to the enCore inputs, and connect it to a USB port of the computer. 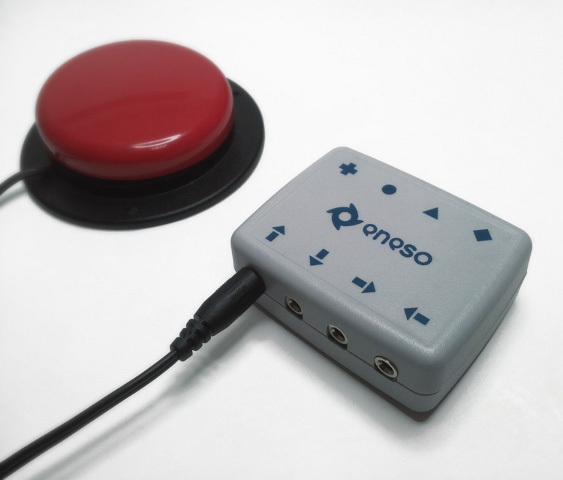 By default enCore is configured to behave like a mouse: four of its inputs move the pointer left, right, up and down, and the other four generate left, right and double click, and drag/drop. This configuration can be changed to adapt enCore to the user´s needs. What can I do with enCore? 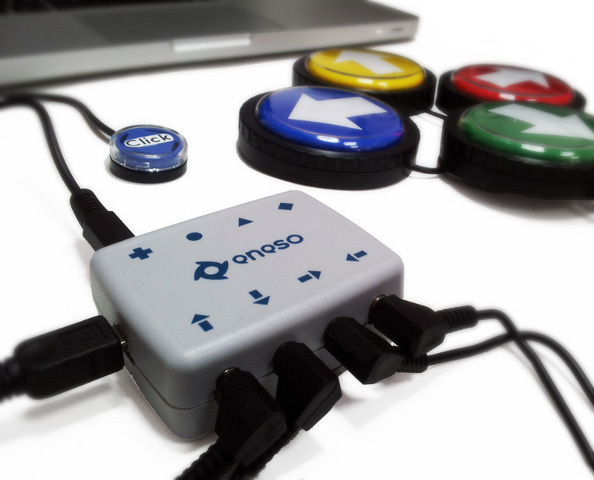 With enCore you can use any computer program that can controlled with a mouse, keyboard, or joystick. That includes them all! Besides, the operating system that you are using is not an issue because enCore works with MS Windows, Android, GNU/Linux and MacOSX. Working with the computer desktop, using a communication board, playing...For every task you want to perform there is a configuration for enCore that lets you do it comfortably. enCore is also an excellent companion to othe computer access systems, such as enPathia. What kind of switches can I use? You can use any switch that has a 3.5mm jack. That is standard connector, used by most commercial switches.